1/2 kg (Gross Weight) Kaju Katli from Haldiram / Reputed Sweets Shop. 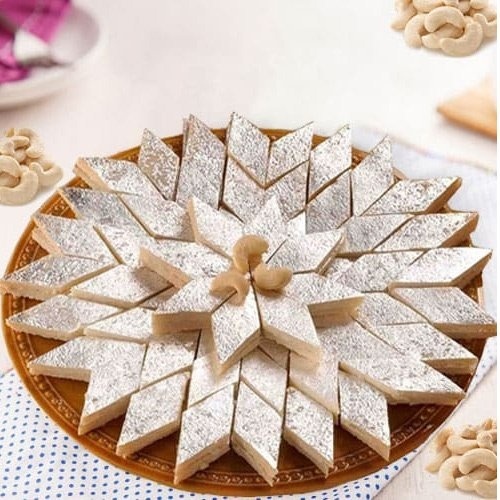 Send this super quality delicious Kaju Katli from Haldiram / Reputed Sweets Shop to your dear ones. 1/2 kg (Gross Weight) Kaju Katli from Haldiram / Reputed Sweets Shop. 1/2 Kg (Gross Weight) Kaju Katli from Haldiram / Reputed Sweets Shop with Bhujia. 1 Kg (Gross Weight) Kaju Katli from Haldiram / Reputed Sweets Shop. 1 Kg (Gross Weight) Kaju Katli from Haldiram / Reputed Sweets Shop with Chanachur.